Late check out (after 11:00 AM and before 6:00 PM) may result in a fee. • 1 night prepayment (non refundable) is required to secure your reservation. • No show and early check out will be charged 100% from the total reservation amount. • 100% prepayment (non refundable) is required to secure your reservation. • Cancel, no-show and early check out will be charged 100% from the total reservation amount. The deposit / payment is non-refundable but not lost! If there is a cancellation for whatever reason thedeposit can be used against any re-booking (same travelers) within 1 year fromthe intended check-in. Cancellation made less than 7 days before arrival, only50% of the total value can be used for re-booking. No show and early check outcannot be used for re-booking. Daily fresh cooked breakfast by order or buffet. Bottled Fresh water on the villa. Bed linen, bath and beach towels, bathrobes and toiletries. Complimentary WiFi internet in guest room and throughout the resort. Smart TV (Watch Netflix movies & TV shows, Amazon Prime Video, YouTube). Complimentary usage of fitness center. Child less than 6 years old without extra bed is free of charge. Child less than 12 years old is charged at 750++ per day in extra bed. Adult is charged Baht 1,500++ per day in extra bed. Holidays in “ATAMAN LUXURY VILLAS” are the best proposal to those, who prefers a quiet and comfortable style of holiday away from the noisy crowded beaches, as well as for nature lovers of Thailand. 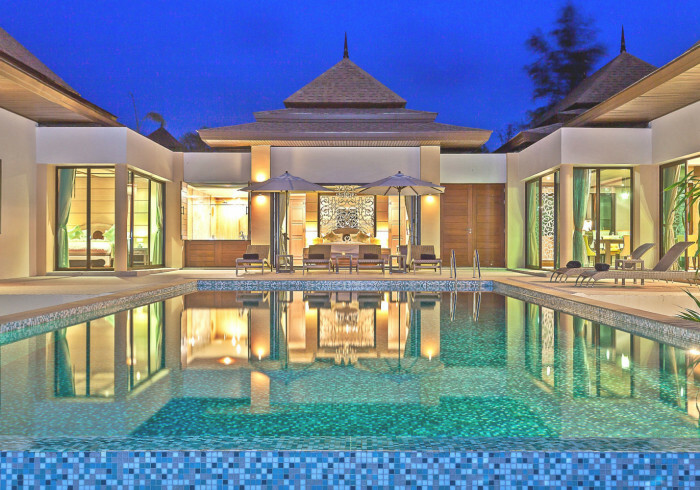 These villas are ideal for families with children, groups of friends, romantic journey, celebrations (up to 30 persons).The elite complex “ATAMAN LUXURY VILLAS” located in Thailand on the island of Ko Kho Khao on the coast of the Andaman Sea, north of Khao Lak, a 1.5-hour drive from Phuket Airport. The complex is located on the sea front with a private sandy beach, surrounded by tropical greenery and has decorated the landscape, consists of 6 villas and Club-House in which there is a restaurant, bar, fitness center, spa, 25-meter swimming pool with Jacuzzi, parking.